With Christmas just around the corner many businesses will see a surge of new customers. Keeping their interest and loyalty after Christmas is another matter. You will hopefully have managed your customers’ journey through the touch, engage and activate stages, so now they’re active customers how do you then retain their loyalty? 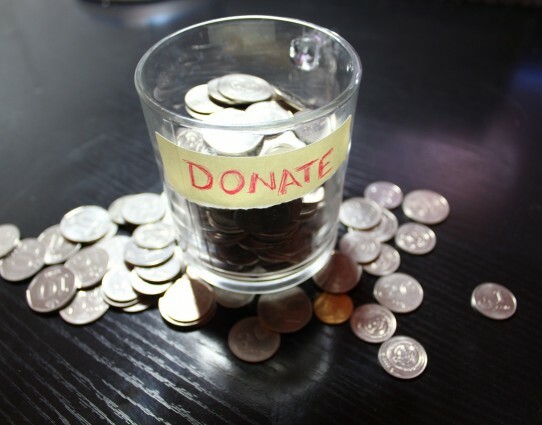 We think the best way is to motivate them into continued action, but this requires a deeper relationship. Regular and valuable contact is a great way of keeping them engaged with your brand long term, and email and social media channels provide an ideal way to do this. Customer retention can mean different things depending on the nature of your business. For some, it will be interaction every couple of days, while for others it will be continued relationship over years. It depends entirely on the nature of your product or service. We’d always recommend defining what retention looks like for your brand and deciding on some key metrics that capture this. By defining what it means you’ll be able to go back and measure the success of any retention activity. This can be a blog article, videos or email newsletters – but it must be done regularly. The idea is that over time you’ll earn a tangible place in your customers’ lives as the ‘experts that can always help’. Seeing as many people check their social media and email inbox almost every day there’s ample opportunity to give them valuable content. Get ready to converse with customers in real-time, especially on Twitter. It’s now becoming the norm to take queries and complaints to social media platforms. On Twitter, customers are starting to expect real time (or as close to) replies from companies. Without them, there’s a risk of losing engagement with your brand. Real time conversations, whether on social media or email, are a good way to show a human side to your business, not least because it’s so rare in the corporate world. A good way to increase retention is to speak to your customers on a human level, and avoid using ‘corporate speak’. It’s as simple as that. 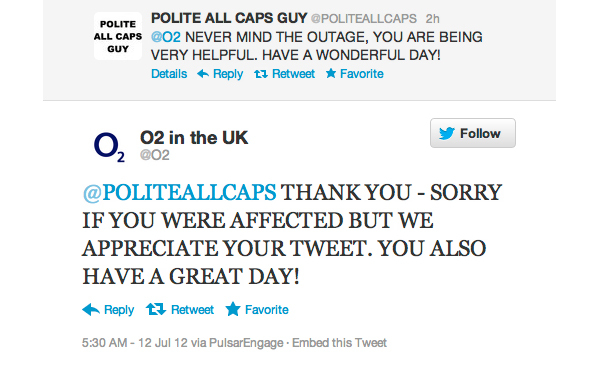 Here’s an example of very personalised response from O2. The laid back nature of social media means companies are more free to express their identity. Companies that have a specific style of communication that is consistent and interesting will make a better impression in the customer’s mind. It inevitably leads to higher engagement and subsequently higher customer retention. Remember that customer relationships take a while to build up. A very common downfall for companies in building up a social media presence is lack of perseverance. So, keep posting your content and keep developing your online presence. Once your customer is activated they’ve bought into your brand – so constant reaching out will certainly yield results. The great Woody Allen summed it up perfectly when he said “success is 90% turning up”. While touch and activation activities are important to getting the right customers, keeping them is all about continued motivation and building solid relationships. Share with us in the comments below any retention activities you’ve had particular success with or perhaps some which have completely bombed.